We'll start with the biggest outside shot. Whiplash is a well-liked film that has a solid amount of support but it's not quite Best Picture material. It's a bit left of mainstream and a showcase for really authentic character work rather than the kind of industry-friendly narrative the Academy usually likes. Damien Chazelle is so young no one will really feel bad for him missing out, same for Miles Teller. J.K. Simmons is already a lock for Best Supporting Actor and I still think it could make some waves in Adapted Screenplay, but it won't earn Best Picture. There is some chance that The Imitation Game pulls out a very unexpected win. It's a Weinstein film that everyone's parents seem to enjoy and it's totally in the vein of a The King's Speech (2010)-sort of classic historical persecution story that transcends some of those trappings to showcase a bunch of well-known up and coming actors giving their best work in years. It's all a little on-the-nose, and Oscar seems to more often than not anathema to such blatant attempts to court it. This could very well walk away with nothing, or maybe it really surprises with the kind of win that isn't actually surprising at all. For all the rage against Selma's lack of deserving nominations this year, I think pundits tend to forget it is a Best Picture nominee. And maybe all that anger at injustice is enough to knock out an upset here. The support does seem more niche than mainstream, though, and the lack of nominations in the first place is a fair indicator of the Academy's general indifference, especially when there's so many nice, wholesome white nominees this year that are far more tempting to vote for. An unbelievable win here would be an incredible sign of the times and a huge reparation for its lack of other nominations, but those chances seem slim. There is hardly a film with less timely buzz here than American Sniper, and since it stands out as not only the most financially successful of every Best Picture nominee, but one that made its money very very recently, there's no counting it out. Whether for good or ill, and no matter what political side you're on, its controversy has also made it a pretty buzzed about topic as of late. Clint Eastwood is also a pretty familiar face for any Academy voter. So why doesn't it feel like a winner? Maybe it's its partisanship or controversy that the Academy wants to steer clear of, especially with all the heat it's taken already this year. This is the kind of movie that no one will really remember a year from now, or even six months from now, but it also fits so neatly into the kind of picture that the Academy loves. It's a strange year for those historical disability/persecution biography films that are almost over-the-top in their bid for Oscar's favor. The Theory of Everything is gaining more ground than even The Imitation Game, though, and if the charge for Ed Redmayne is legit over Keaton there could be enough support her for this to take it all. There is also a lot of support here and there, from Score to Screenplay. But the next three flicks just have too much momentum now. I think people are still counting this one out despite its solid awards wins so far and great buzz. Its resume includes a Golden Globe win over Birdman and big hauls for writing, including the WGAs. There is a sense of justifying this and the following two films, and voters seem to think that Wes Anderson finally deserves some recognition. It's also a beloved film that seems to kick the notion that voters only care for recent releases. In fact, its longevity seems to have helped it stick in peoples' minds for a long time, which also speaks to its quality. It's tough to say if this is Anderson's best film, but that doesn't totally matter - as long as it's the one that voters buy into enough to hand him Best Picture. 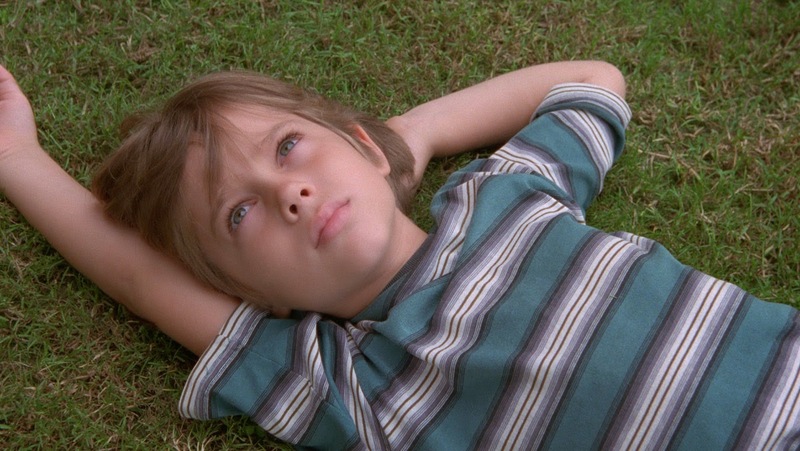 Birdman has DGA, PGA, and SAG wins, so wait, why are we even talking about Boyhood? Well, things don't always line-up, but if there's any film on this list that could make for an easy upset, it's this. It's a movie about movies, but not only that, it's about artistry and acting, in addition to being an extreme technical achievement. All of this should win over just about everyone and with a cast and production crew that is all incredibly likable and deserving, it really seems like a lock, if not for Boyhood matching it at nearly every turn. The Best Drama Golden Globe went to Boyhood, and that along with its BAFTA is impressive enough, but it has also dominated a lot of critics circles while being equally as impressive a technical achievement as Birdman. It's also full of delicious acting to appease that branch and its enough of a classical family drama story for most of the Academy to get behind while being gimmicky enough to earn support from those looking for a more diverse Best Picture winner. I still think Boyhood is the safest bet to walk away with winning the whole thing, but to be honest, there's not a single film here whose win would surprise me. So what do you think? It's actually a fairly interesting race this year, which is good for everybody. What's your pick for what the Academy thinks is the Best Picture this year?